Henan Province (hé nán shěng 河南省) lies entirely north of the 31st parallel north (north of the equator) and entirely west of the 116th meridian east (i.e. 116 degrees longitude east of the universal mean-time point, Greenwich, in the UK). To get a fix on where Henan Province is located relative to the internal geography of China, one can compare the location of the province within China to the location of a corresponding state within the 48 contiguous US states: if a map of the 48 contiguous US states were made to fit over China, then Henan Province would lie roughly where the US state of Iowa lies, or just northeast of an imaginary crosshair that divides China into quadrants along north-south and east-west lines, precisely where the same crosshair over the US would place the state of Iowa. 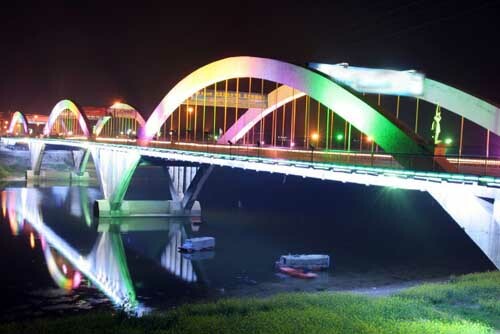 Puyang (pú yáng 濮阳) is located in the northeast of Henan Province (hé nán shěng 河南省) on the lower reaches of the Yellow River. Within the province, it neighbors Xinxiang (xīn xiāng 新乡) in the southwest and Anyang (ān yáng 安阳) in the west. It is also bounded on the east by Shandong Province (shān dōng shěng 山东省) and neighbours Hebei Province (hé běi shěng 河北省) in the north. 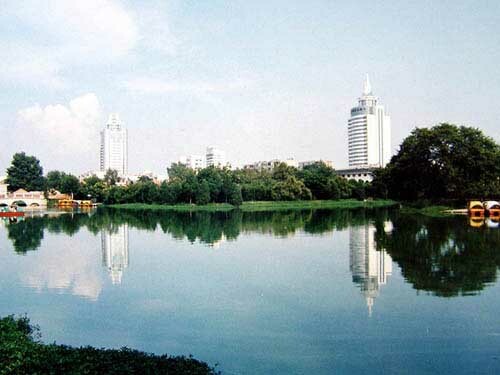 Situated in south-central Henan Province (hé nán shěng 河南省), Luohe (luò hé 漯河) City is bordered by Zhoukou (zhōu kǒu 周口), Zhumadian (zhù mǎ diàn 驻马店), Pingdingshan (píng dǐng shān 平顶山) and Xuchang (xǔ chāng 许昌) in the east, south, west and north. 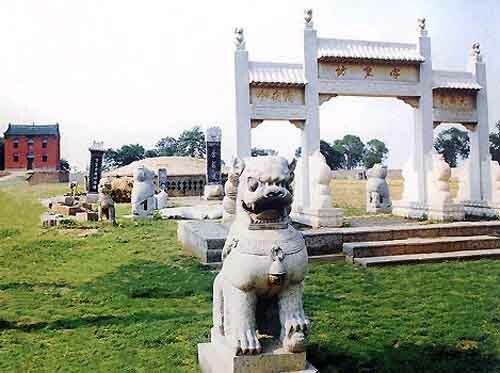 Located in the centre of Henan Province (hé nán shěng 河南省), 80 kilometers away from Zhengzhou (zhèng zhōu 郑州) to its north, Xuchang (xǔ chāng 许昌) City has an area of 4,996 km², with Yuzhou City, Yanling County, Xiangcheng County, and Weidu District under its administration. 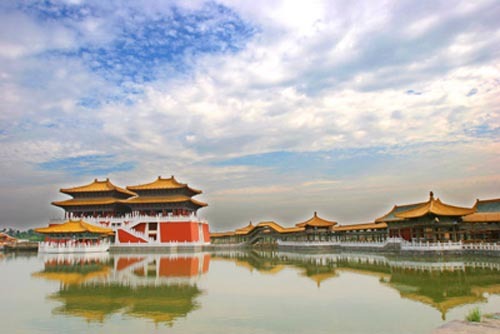 It has been awarded a variety of honors, as "China's Excellent Tourism City", "National Garden City", "China's Glamorous City with Unique Charms", to name only a few. Situated in the southeast of Henan Province (hé nán shěng 河南省), Zhoukou (zhōu kǒu 周口) City neighbors Luohe (luò hé 漯河) and Xuchang (xǔ chāng 许昌) in the west, Zhumadian (zhù mǎ diàn 驻马店) in the south, and Kaifeng (kāi fēng 开封) and Shangqiu (shāng qiū 商丘) in the north. 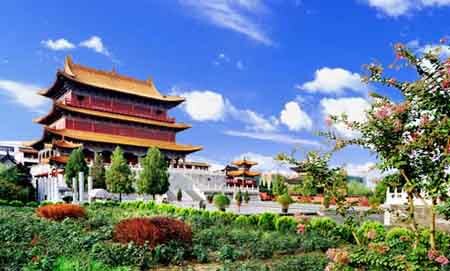 It also shares a boundary with Anhui Province (ān huī shěng 安徽省) in the east.